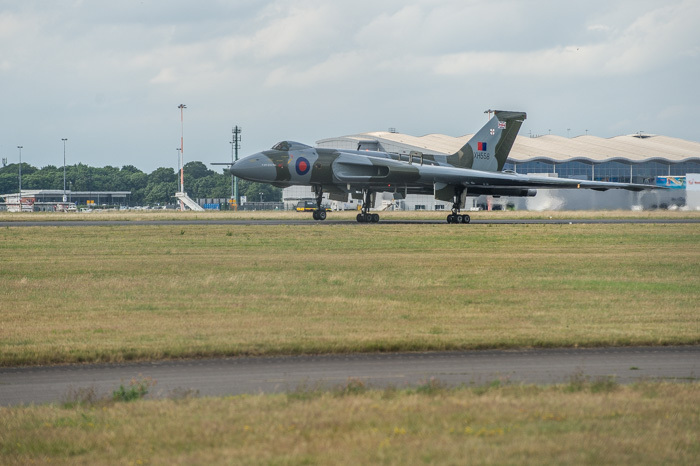 A bit off the beaten wedding track, we took the children to Robin Hood Airport this afternoon to watch Vulcan XH558 land after a weekend away at displays. This might sadly be the last chance we get to see it in the air due to wedding commitments through the rest of the summer. 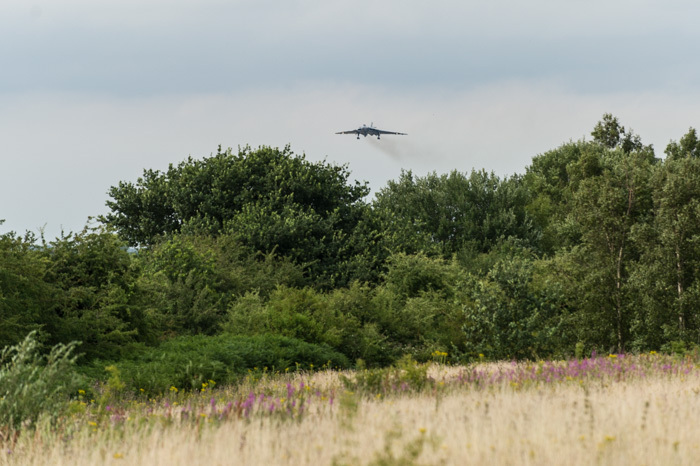 It makes me so unbelievably sad to think this is the last year anyone will ever see the magnificent Vulcan fly. 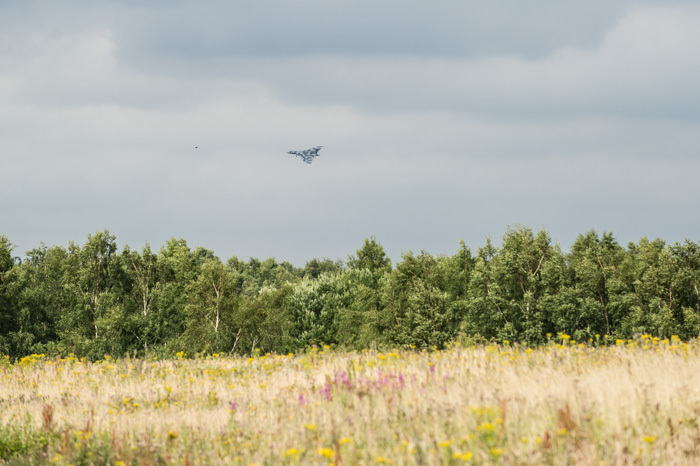 I remember well as child visiting the then RAF Finningley to watch the air show and seeing not one but four of these magnificent aircraft take-off and perform a display. 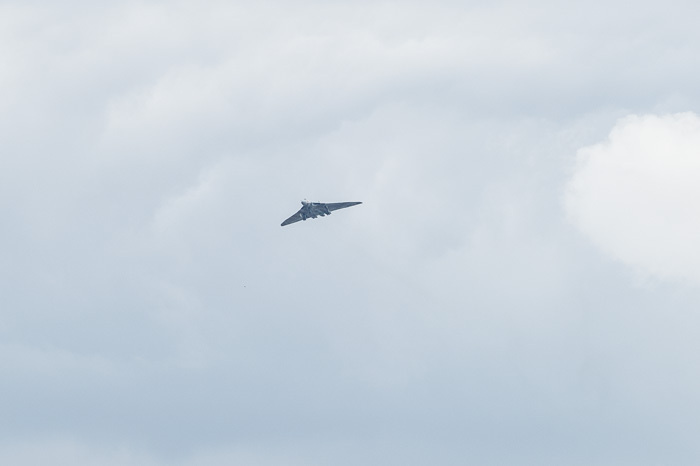 More impressive than the sight was the sound, if you think one is loud four was an out of body experience! It is a real shame that the companies who had the brains, determination, willpower and engineering skill to build these incredible machines 60 years ago haven’t got the guts to stand behind them today – shame on you all. Reading the article on the Vulcan to the sky website http://www.vulcantothesky.org/history/post-flight/end-of-flight-2.html the decision is not one taken by the operators of XH558 but one made by the “technical authorities” and it would appear reading between the lines that this is a decision made on financial grounds. If the XH558 is to spend the rest of her time encouraging young people to follow a career in engineering it make one wonder what sort of message this sends out, “too difficult” or “there isn’t any money in engineering”, seem to be two possibles, neither of these strike me as good adverts when trying to divert bright young things away from other careers and into engineering.